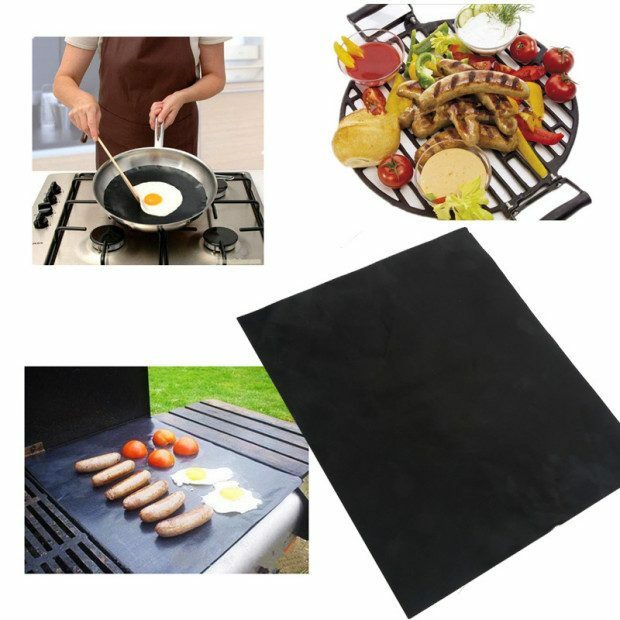 Non-Stick Reusable Grill Sheets $5.49 Each Or $12/3 Plus FREE Shipping! You are here: Home / Great Deals / Non-Stick Reusable Grill Sheets $5.49 Each Or $12/3 Plus FREE Shipping! Hate losing veggies, shrimp, even sausages between the grill grates? Solve your grilling issues with the Non-Stick Reusable Grill Sheets for just $5.49 Each Or $12/3 Plus FREE Shipping! Use the BBQ Grill Sheets over and over again on the grill or in your oven. Easy to clean. Made of flexible, non-stick, heat resistant material.